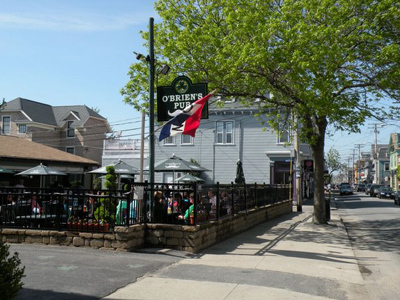 Thames Street in downtown Newport, has been a favorite among Newport Rhode Island bars for over 25 years. Without a doubt, my favorite thing about this place is the outdoor patio. It has expanded to seat up to 250 people, and hosts live outdoor entertainment during the summer. 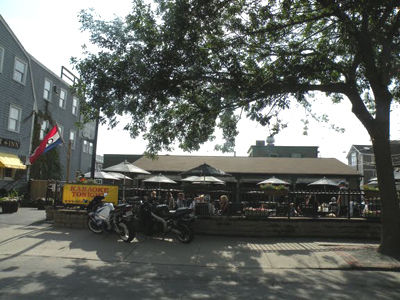 Sitting outside at the patio puts you right on the sidewalk of Thames Street, where you can people-watch as you enjoy your drinks, your meal and the live music. Be careful though, Thames Street during a summer night in Newport can be a lot like the zoo. Don't get too close to the fence and the animals on the other side! Just kidding. Newport can get a little rowdy, but it is a very safe place. 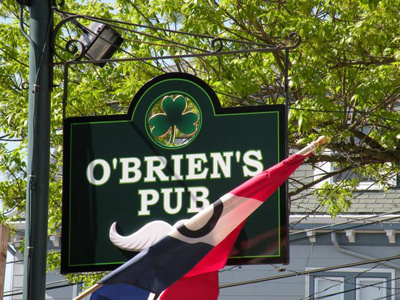 Though the summer is the ideal time to visit O'Brien's, it's open year-round (except for Christmas), and is a favorite hangout for many locals. During the winter the pub is heated by wood stove. You can stay warm and enjoy some beverages here with your friends while you watch a game on one of their 7 TV's. 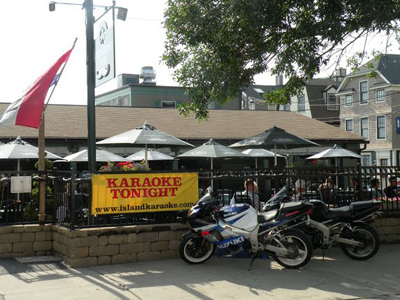 There is also indoor entertainment during the winter months to compliment the 2 pool tables and steel tip dart board.